The Experts Forum is formed by independent personalities from different nationalities, belonging to the academic world and socioeconomic research, with no occupational or mercantile relation further than their participation in this Forum. What is the Experts Forum? The Experts Forum is formed by independent personalities from different nationalities, from the academic world and socioeconomic research, and without any labor or commercial relationship with the BBVA Group, beyond their participation in this Forum. On the one hand, it will be responsible for directing and carrying out the work and research related to social security systems, in order to be able to issue scientifically based contributions that enrich knowledge in this area. And on the other hand, it will work to disseminate these conclusions among society, in order to contribute to knowledge and transparency about the functioning and the challenges confronting our pension systems. Disclaimer: The work, opinions, conclusions and / or recommendations issued by the Forum of independent experts correspond to its members and in no case do they commit the BBVA Group, beyond the disclosure of the aforementioned works be carried out through the different channels and initiatives that are part of the Mi Jubilación project and the BBVA Pension Institute. Finally, the Forum counts with the support of BBVA Research, in charge of the labor related to investigation and secretarial functions. Bachelor’s degree and PhD in Economy at Universidad Complutense de Madrid (Spain), MA in Economy at Essex University (England). Currently Associate Professor in Economy at Universidad Complutense de Madrid. Between the positions held, we can highlight that he was Executive Director at FEDEA, Associate Professor in Juan March Studies and Research Institute and Visitor Professor at Mexico’s College. He also belonged to the administrative body from the European Union Commission. By last, as professional with responsibility in the consultant enterprise Analistas Financieros Internacionales (International Financial Analysts), enterprise advisor, enterprises associations and public administrations in all the previous mentioned subjects. 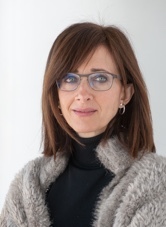 She is professor at Actuarial Statistics at Barcelona University (Spain), PhD at Economic and Business Sciences (Extraordinary Prize), and Actuarial Insurances. Full member of Financial and Insurance investigation group (Riskcenter-UB). In between her most relevant lines of investigation, it’s distinguished the elderly and dependence risk analysis, topics published in the most recognized national and international scientific magazines. She has lead different public projects at the Economy and Competitiveness Ministry. Member of the Experts committee named by the government in order to define the sustainability factor of the public pensions system. She has appeared in several time in front of the non-permanent commission for the tracing and evaluation of Toledo’s Pact of the Deputies Congress (Spanish Government). 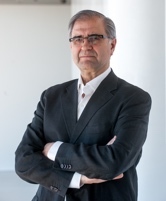 Coordinator of Official Master in Actuarial and Financial Sciences, co-director of Master in Insurance and Financial Entities Management, both in Barcelona University (Spain). He is director of Markets and Financial Risk Master and co-director of Laws and Financial Markets Master, as well as member of Investigation and development Center MagIC. Coordinator of the Biometric Risks Observatory for Portugal’s insured population, belonging to the Portuguese Insurance Association. He is an insurance Actuary and member of the International Actuarial Association (Mortality and Population Issues Working Groups). 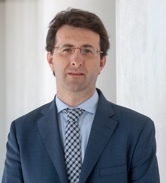 He is advisor of the Portuguese Statistics Institution, Finance and Social Cecurity Ministries in the evaluation of the public pensions systems in Portugal. He works as a consultant for insurance companies and pensions funds in actuarial studies, and the constitution of the prospective mortality table. After her graduation as Magister Artium in Communication, Germanistic and History at Johannes Gutenberg of Maguncia University (Germany) and her entitlement as Master in Social Sciences at the Juan March Institute for Studies and Investigation (Spain), she got a PhD in Political Sciences and Sociology at Universidad Complutense de Madrid (Spain). She is associate professor of the Political Sciences and Sociology Faculty at UNED (Spain), where she was dean in 2007 and 2011. 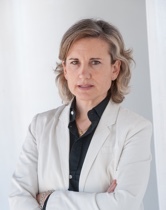 In 2005 she entered the FUNCAS investigators group, and coordinates the publishing of “Panorama Social” and “Focus on Spanish Society” through the Social Studies direction she presides. Most of her investigations are focused on the social and political challenges facing elderly and, more specifically, in the pension systems reforms through an occidental wellness context. Due to this referred work, she has participated on many national and international project and has published monographic and magazine content. 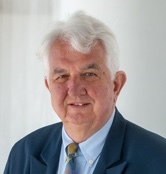 After his MBA at Graz University (Austria), Robert Holzmann achieved a PhD in Economy at Vienna’s University (Austria), with complementary studies at Grenoble (France) and Bristol (England). He was also part of the Development Executive Program at Harvard University (United States). He is currently the Associate Professor for the Old Age Financial protection Cathedra at Malaya University (Malasia), the honorary Cathedra at New South Wales University (Australia) and, since 2014, was chosen academician at Austria Science Academy (Austria). He is also Senior Advisor at the World Bank. You can now subscribe to the Experts Forum Newsletter for free and receive it automatically in your email. We collect your personal data (Name/email) in order to subscribe to our Newsletter service, whereby you will be informed of the latest developments and news of interest related to the activities we do. This personal data will be incorporated into a file for which BANCO BILBAO VIZCAYA ARGENTARIA, S.A. (hereinafter BBVA) is responsible for. We will keep your personal data during the period of validity of the service or until you request us to cancel it. Working Paper: Nº 9/2014: Is longevity an insurable risk?